Angola, debilitated after years of war and unseen by foreign visitors since the early 1970s, is now attracting skilled expats to its oil-rich land. Identifying a lack of information for expats moving to Angola, Just Landed has now launched the Angola guide. We guarantee a move to Angola will guarantee you an experience not found in other expat destinations! 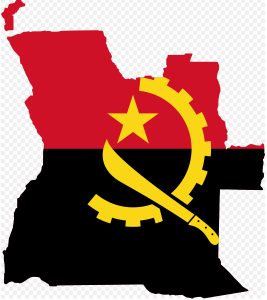 Located on the West coast of Southern Africa, Angola is divided into 18 provinces, with Luanda as the capital. The backbone of Angola’s economy is oil, making up 90% of the country’s exports. However, other minerals and resources also abound, including iron ores, marble, granite, and quartz reserves. However, Angola is not only a country for engineers and oil workers, and our section on expat jobs in Angola includes everything from volunteering to income tax information. For expat families relocating to Angola, the price of schooling may be daunting, but there are a good number of international schools to choose from. If the Portuguese language is something you want to learn, our expat community can help you find a language partner or course. Nature lovers will be happy to know that many natural parks and reserves have been created to protect animals and plants. Some species only exist in Angola and others are close to extinction. Kids will love the safari tours available in the parks and reserves. As you can see, Angola is full of things waiting for you to discover and our guide is there to help you smoothly navigate the relocation process. Next story Are the world’s happiest countries in Latin America? Previous story Water fights, eggs and witches – Easter traditions! Switzerland Guide now available in French!